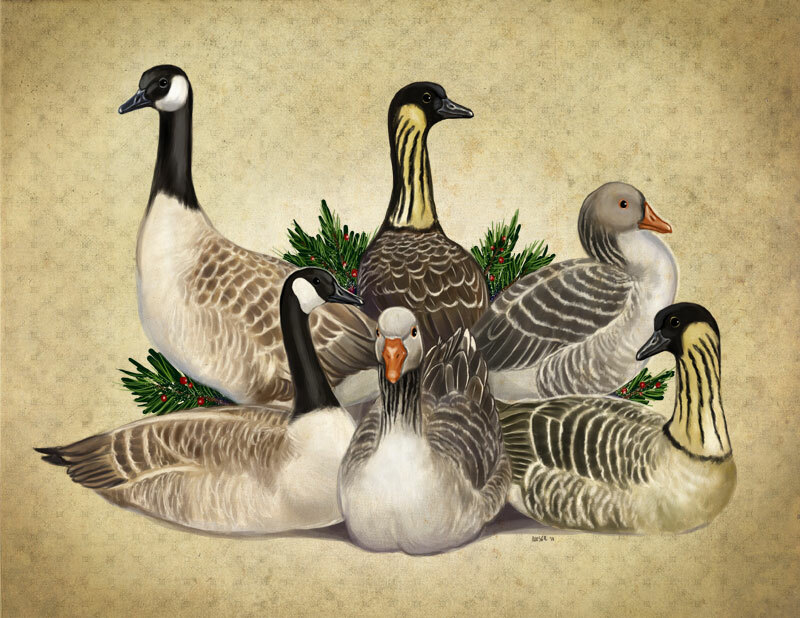 Six late geese, but I got them up before midnight, so it's technically still 7...well, more like 6 now ... days until Christmas! I'm not sure if anyone has pointed this out yet, but traditionally the Twelve Days of Christmas begin on Christmas Day and end on Epiphany, or Three Kings' Day (January 6). I'm not saying you can't have your own tradition, but I just wanted to make sure you were aware! The artwork you're posting for the twelve days is lovely! Absolutely beautiful. Thank you so much for making these, it's marvelous work! I love your work! Please post more and finish the song... please and thank you!